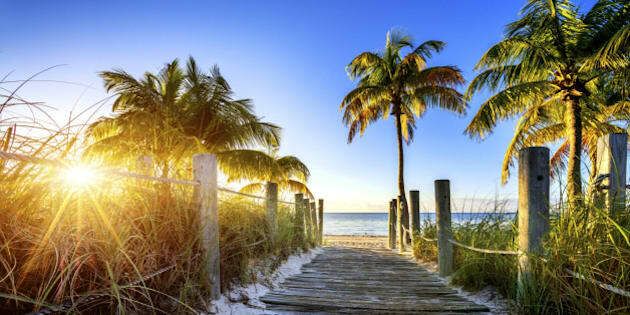 These five off-the-beaten-path Florida towns offer the golden sand and cartoonish palm trees you're seeking without the cramped parking areas, rush-hour-like traffic, and spring-breakish attitudes found in some of the Sunshine State's more well-known destinations. The thrill of the holiday season has passed, and cold Canadian temperatures seem much chillier. Many North American travellers are setting their sights on southern destinations, where the days are longer and beaches are dotted with brightly-coloured towels and umbrellas. However, crowded beaches and roads packed with golf carts cruising at a steady 32 Kilometres per hour aren't in every traveller's recipe for the perfect warm-weather escape. Fernandina Beach is a best-kept-secret among residents of North Florida, and despite its charming, historic downtown area and expansive sands sprinkled with beach bars and burger shacks, it remains relatively unknown. Located on Amelia Island just 56 kilometres northeast of the heart of Jacksonville, it's a wonder the Charleston-esque downtown hasn't drawn Canadians down in droves -- yet. Upscale shopping, fresh-out-of-the-water seafood, and plenty of space on the sand make this a well-rounded beach community for visitors of all ages and interests. Lining the Atlantic Ocean and dissected by Florida State Road A1A, Flagler Beach is easily distinguished from tourist-heavy Daytona Beach just 32 kilometres south. This cozy seaside haven is a hotspot for fishermen and anyone seeking a bit of solitude on the sand. 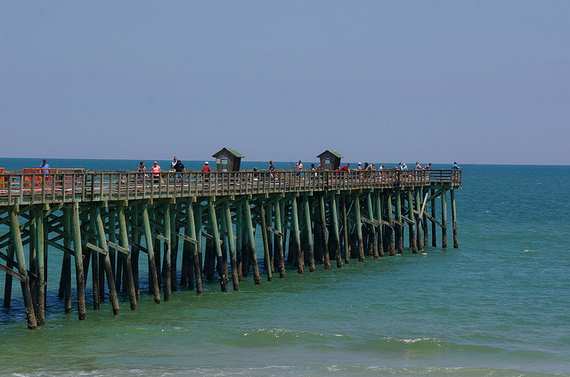 Offering a dash of beachy shops, open-air restaurants, and parks showcasing the natural beauty of this often undiscovered stretch of coastal Florida, Flagler encourages visitors to relax, sink their toes in the sand, and dine of plenty of fresh seafood (whether they caught it themselves or not). On a map, Cedar Key looks like a cluster of unwanted land tossed into the Gulf of Mexico by nearby Gainesville. Visit, and you'll realize Cedar Key's old-fashioned streets, lined with stilt homes, beach shops, and low-key seafood shacks, are far from undesired. The cluster of islands set against the turquoise Gulf of Mexico give the town an undeniably tropical feel, while the historic buildings and laid-back atmosphere remind visitors of how Florida used to be. Crystal River is far from your typical Florida vacation destination. It's not plagued by towering beach resorts, roller coasters, or water parks. Crystal River draws tourists to its shores with historic charm and natural wonders that can't be found anywhere else. 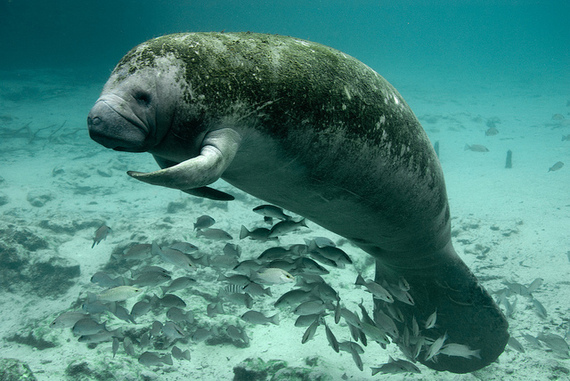 Known as the best place in the world to view manatee in their natural habitat, this small town surrounded by water is ideal for paddle boarders, swimmers, canoers, kayakers, and water adventurers of all kinds. Visitors will love shopping and dining at Heritage Village, in the heart of downtown Crystal River, but it's difficult to peel anyone away from King's Bay, the Crystal River, and the white sands lining the Gulf of Mexico. Florida's panhandle gets more recognition for Panama City, Pensacola, and Destin, but that's what makes Apalachicola so special. This small town with a name that's difficult for most to pronounce offers an authentic look into Florida's Forgotten Coast. Riddled with southern charm, quaint shops, and more fresh seafood than you can peel, shuck, and devour in one vacation, Apalachicola provides its own take on vacationing in Florida. Opt for a stay in one of many carefully restored bed and breakfasts and spend your days beach cruising along the shores for an unforgettable and relaxing winter escape.